Boys hold posters with crossed-out pictures of President Trump during an April march against plans by the Arab coalition to attack Hodeidah, Yemen. A Saudi-led coalition backing pro-government troops in Yemen has launched an assault on the country's main port city of Hodeidah in what threatens to become the fiercest battle of a three-year war against Iran-allied Houthi rebels. The United Arab Emirates state news agency said early Wednesday that large numbers of forces had reached the outskirts of the city. The UAE is a key partner with Saudi Arabia, which is backed by the United States. "The liberation of the province of Hodeidah from the grip of the ... militias, will be the beginning of the complete victory for the liberation of all the Yemeni lands," Yemen's government in exile said in a statement. Saudi Arabia's ambassador to the U.S. said the attack would relieve Yemen's humanitarian crisis and ensure security for shipping in the Red Sea. "The coalition's operations to liberate Hodeidah is part of the Coalition's unwavering commitment to support the people of Yemen against the tyranny imposed by Iranian-backed militias that are spreading chaos and destruction in Yemen," Khalid bin Salman wrote in a tweet. Yemen has been engulfed in a civil war since Iranian-backed Houthis overthrew the Yemeni government and seized control of the capitol three years ago. Saudi Arabia, the UAE and other members of the coalition have fought to restore the ousted government and roll back Iran's influence in the region. The U.S. has provided the Saudi-led coalition logistical support. The civil war that unfolded since has devastated the already desperately poor country. Yemen is heavily dependent on imported food, fuel and medicine that come through Hodeidah port. Civil war and a Saudi blockade of the port have driven parts of Yemen close to famine. Cholera and other diseases are rampant. Bin Salman, the Saudi ambassador, wrote that Houthi rebels have attacked commercial and military ships, including those belonging to the U.S. He added that the "liberation of Hodaidah" is critical because of the threat Iran-backed Houthis pose to the security of the Red Sea. He also claimed that an estimated 15 percent of international commerce passes through the Red Sea. The UAE, which is involved in the ground assault, had given the Houthis a deadline of Wednesday morning to withdraw from Hodeidah or face attack. The United Nations and international aid organizations pulled staff out of the city and surrounding area before the deadline. The U.N.'s humanitarian coordinator for Yemen, Lise Grande, warned that a prolonged siege of the port could lead to the deaths of up to a quarter-million Yemenis due to starvation and disease. The attack could mark a new phase of the war – the first urban fighting in the conflict. Hodeidah has a population of about 60,000 people. Grande on Monday said while the U.N. had relocated international staff from the city, many of the local staff had chosen to stay to try to continue U.N. programs. Other aid officials warn an attack on the port would set back chances of a political settlement and make it difficult for the flow of aid to continue. "All member states, led by the U.S., must demand that vital humanitarian and commercial imports through Hodeidah are maintained," said David Miliband, head of the International Rescue Committee. Abdi Mohamud, the country director in Yemen for the aid group Mercy Corps, says that 70 percent of food and aid supplies to Yemen passed through the port — and that "lifeline" is being cut off even as 8 million people "stand on the brink of starvation." "Whatever the strategic or political gains that might be won by taking or holding Hodeida, these will be eclipsed by the suffering, misery and needless loss of life that will be paid by the Yemeni people," Mohamud said in a statement. "There can be no winner in this conflict. Now that fighting has begun, all we can do is prepare for the worst." The International Committee of the Red Cross raised concerns about the water and electricity infrastructure in Hodeidah, and the effect on the civilian population there if those networks go down. The ICRC has stockpiles of food, medical supplies and other resources in the city, but they can't be distributed during fighting, the group says. Amnesty International estimates that 600,000 people live in and around Hodeidah. "During the past three years of fighting in Yemen, all parties to the conflict have disregarded their obligations under international humanitarian law, consistently carrying out unlawful attacks that have killed or injured civilians," Amnesty's Middle East research director, Lynn Malouf, said in a statement. "A repeat of such violations in Hodeidah would put thousands of lives at risk and must be avoided at all costs." A U.N. political envoy for Yemen had been shuttling between the Houthis, Saudi Arabia and the UAE to try to reach a political solution to avert the assault on Hodeidah. By Wednesday morning, the diplomatic efforts were overshadowed by fighting. 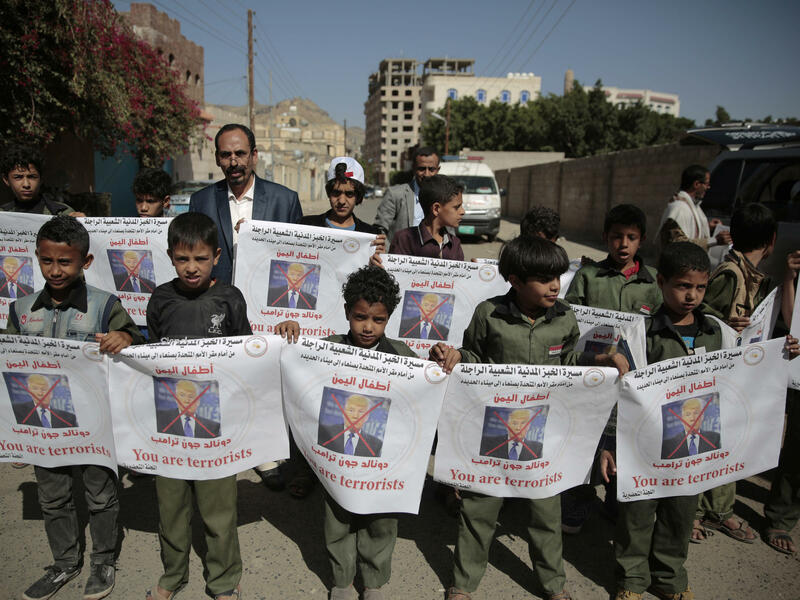 The UN special envoy for Yemen, Martin Griffiths, said he is "extremely concerned" about the developments. "Further military escalation will have serious consequences on the dire humanitarian situation in the country and will have an impact on my efforts to resume political negotiations to reach an inclusive political settlement to the conflict in Yemen," he said in a statement. "I cannot overemphasize that there is no military solution to the conflict."